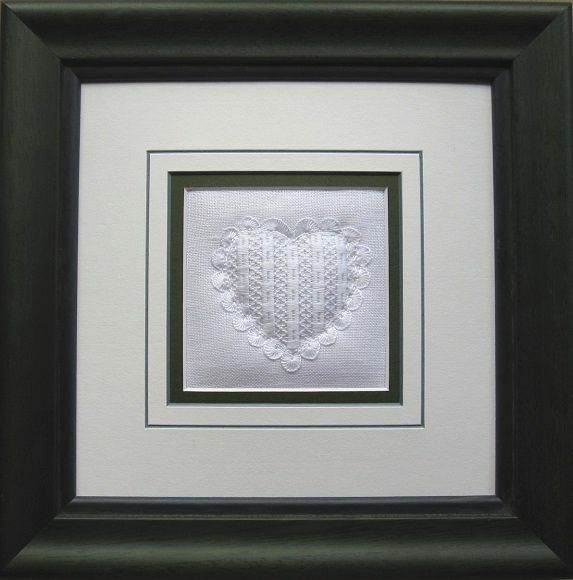 Have you been wishing to learn the beautiful and exceedingly interesting embroidery technique of Schwalm whitework, but no opportunity presented itself? Well, the opportunity is here now! 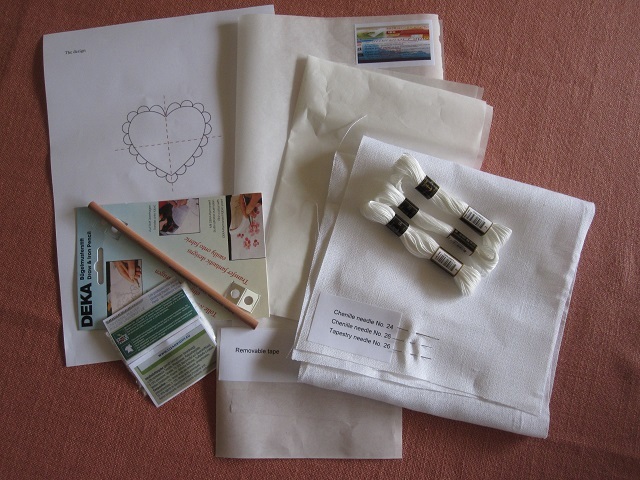 You can now learn Schwalm whitework easily and comfortably in your own home. By popular demand – and after an experimental phase with test students – I have decided to offer an online class in Schwalm whitework. In my new online course, you will have access to professional support and assistance, and you can work at your own individual pace. You register for the course. I send a described-in-great-detail and illustrated step-by-step instruction booklet and a kit with all the needed materials. As soon as you received the package, you email me. From then on we communicate via email. You start working the first step, take a picture of your progress and send me the image. I examine your work, make notes and give hints, and – if necessary – make suggestions for improvement. You ask me questions that arise as you work the steps. I try to answer within 24 hours. When you are ready, you start the next step. In such a way, I guide you step-by-step through the entire project. 1. Design transfer 2. Thread preparation (please do not begin before reading this step all the way through) 3. Coral Knot stitches 4. Blanket stitch half-eyelet scallops 5. Chain stitches 6. Thread withdrawal for a simple drawn thread filling pattern 7. Filling patterns – please choose one of 3 different patterns 8. Laundering 9. Finishing. And should you wish to continue your Schwalm whitework studies, the project booklet includes an additional 6 filling patterns that are a little more difficult. 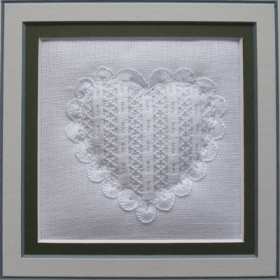 As a first small project you will work a heart, which can be cut out or framed in the end. 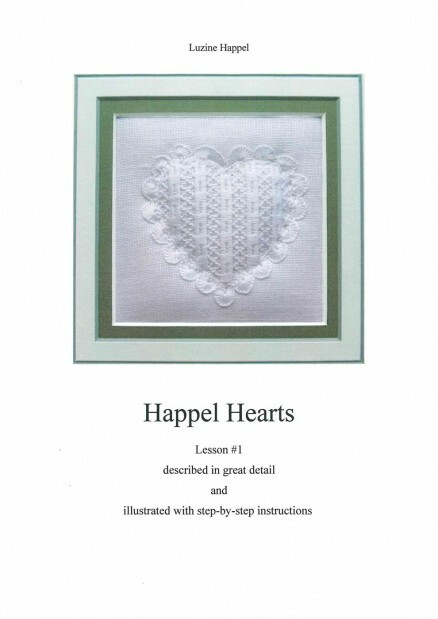 Of course you know such Happel Hearts from my website or from the leaflet I send along with my basic book. But the instructions presented in the online course booklet are much more detailed and absolutely suitable for students having no experience with Schwalm whitework before. The price for taking this class is €70. You can pay via PayPal. The course does have a time limit. The first small project of lesson #1 should be finished within 8 weeks from receiving your package (most people can finish such a project in less than 1 week). If you finish your lesson #1 project before the end of eight weeks, you may continue your studies with the additionally included patterns and continue to ask me questions. After eight weeks, my professional support ends. Please send me an email, if you are interested. I am interested in doing your class. However tomorrow I am going on a cruise for the next 3 weeks and wonder if it still will be available when I return. I can pay via Paypal. You can start this class whenever you want. Please send me an email when you are ready to begin. 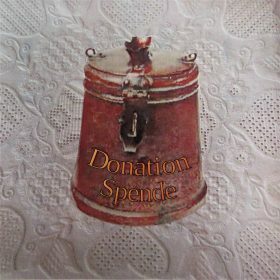 Mein erstes kleines Happel-Herz ist fertig und die Zusammenarbeit mit Ihnen macht richtig Spaß. Ich freue mich auf unser nächstes gemeinsames Projekt. Danke für den netten Kommentar, liebe Frau Brinkmann. Sie sind ja auch eine gelehrige Studentin! Für mich ist die Erfahrung mit Online-Unterricht auch neu. Ich hätte nicht gedacht, dass man auf diesem Weg so perfekt unterrichten kann. So ist der Spaß auch auf meiner Seite.